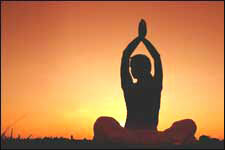 Workshop On Yogasanas is an event that took place between 10-Jul-2006 and 30-Jul-2006 in Hyderabad. The Vivekananda Institute Of Human Excellence is conducting a 3-week yoga course, especially for people leading sedantary lifestyles. The course will help them to acquire the techniques of maintaining good health. The Institute is conducting regular yoga classes, separately for men and women, under the guidance of expert yoga teachers. This three-week course will be conducted every month.